Sony is back in the black according to its latest figures, but the ailing Japanese giant's profit has to be tempered by the revelation that it has been selling off some of the family jewels. Sony's year end results (to March 31) showed a 43 billion yen net profit (around $436m or £280m) - that's a big turnaround from last year when it posted a 457 billion yen loss - and the forecast for the next 12 months is to stay at a similar level. But, before we start dusting off the Sony renaissance headlines it should be pointed out that this turnaround has partly been about currency markets (hat tip to the weakening yen) and also thanks to asset sales. Those assets include shares in medical research company M3, the company's US headquarters in New York and the Sony City Osaki building in Tokyo. 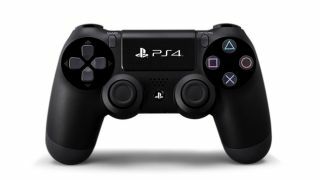 There is optimism for Sony, however, with the PS4 looming large on the horizon, although it remains to be seen if the next generation console can become the kind of force that the PS2 managed to be. The difficult television market, the rise of Samsung and Apple and the horrific 2011 Tohoku earthquake and tsunami have made Sony's life tough in recent years, although devices like the well-received Sony Xperia Z hark back to former glories.